Mekxo is currently the first German-Nigerian act to profoundly strike a buzz in the European Afrobeat industry. 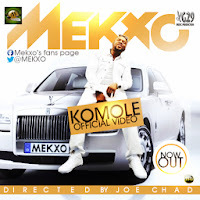 Having been nominated for several EU awards, this talented icon re-brands himself with a new sparkling video "Komole" riddled with stunning visuals shot in Ireland & directed by Joe Chad. VEVO Certified!